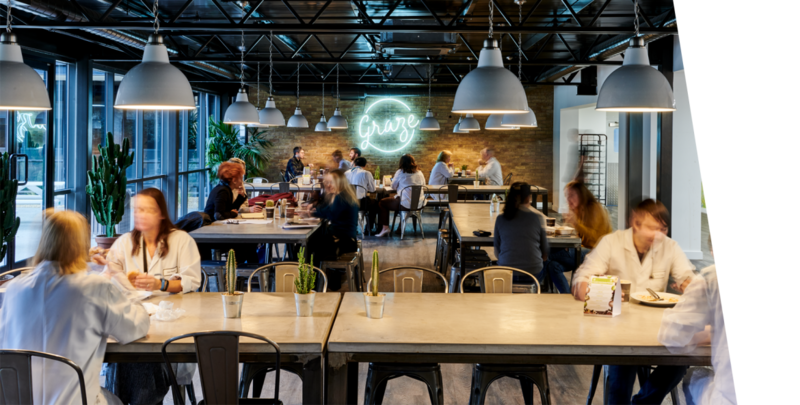 Graze is a space to eat, meet and relax that couldn’t be further from your average business café. Exposed brick walls create a unique atmosphere for our tenant businesses and visitors to enjoy breakfast, lunch or have meetings. Giant cacti line the full height glazed doors that flood the café with light, opening out on to the large courtyard with plenty of seating to eat alfresco or catch up with colleagues or visitors over coffee in the sun. 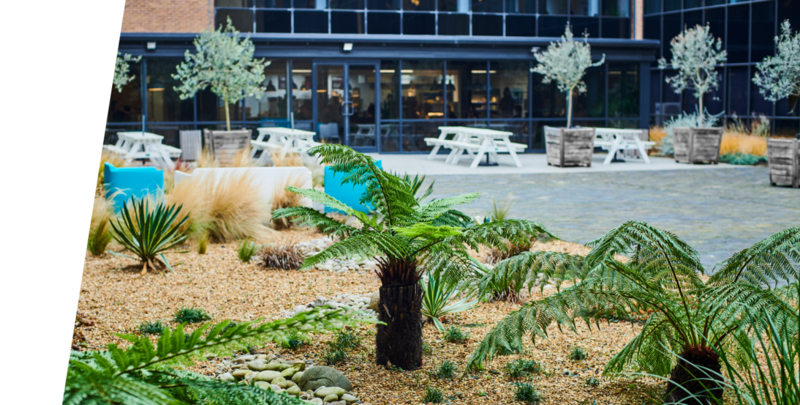 The Café courtyard is surrounded by verdant planting enriched by lush ferns and cacti, tended to by our resident gardener Dave Boyd. During the warmer months, this secluded courtyard is a relaxing spot in which to rest and refuel during a busy working day or meet with clients and visitors in the fresh air. 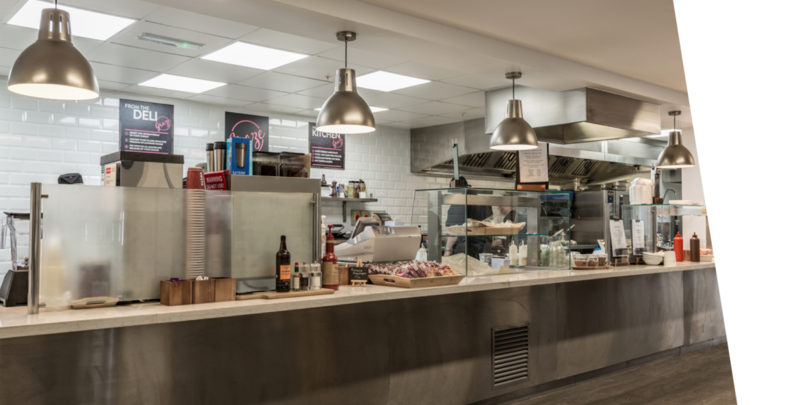 Graze serves freshly prepared breakfast and lunch from Monday to Friday with a wide range of hot and cold options to suit all tastes. Freshly ground coffee and a large selection of teas, cold drinks and snacks are available throughout the day. Gluten free, vegetarian and vegan options are available and additional dietary requirements can be catered for upon request. 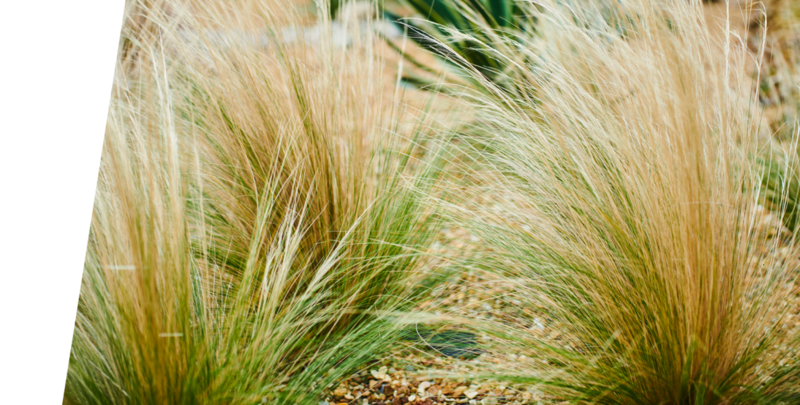 In order to minimise our impact on the environment, Graze is committed to reducing the use of plastic and using biodegradable materials where possible. Plastic straws and cutlery are no more and the takeaway coffee cups made by Vegware biodegrade in 12 months.